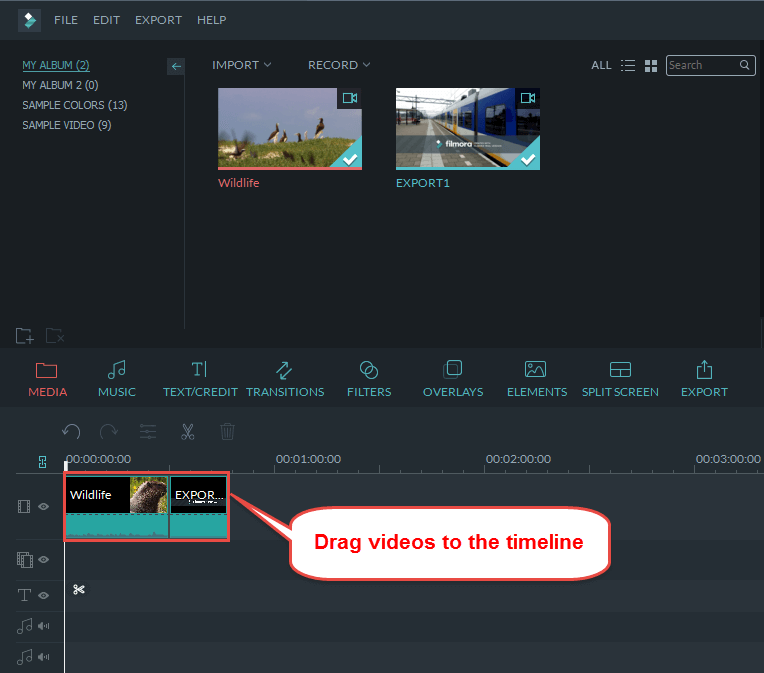 Basic Editing Tips for windows: Can I separate videos from the video track? 1. 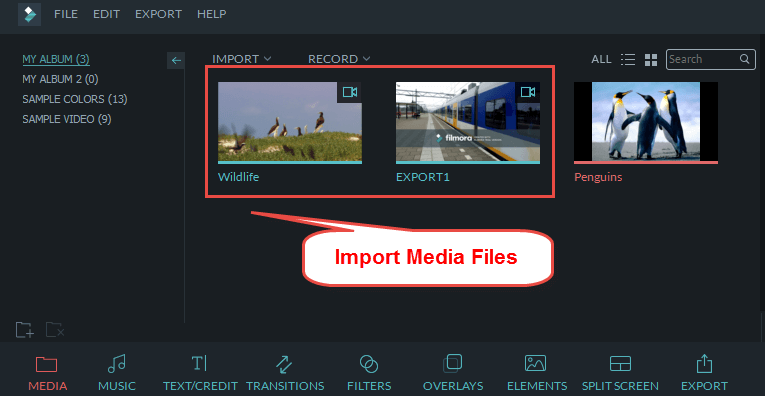 Import your videos to the media library. 3. 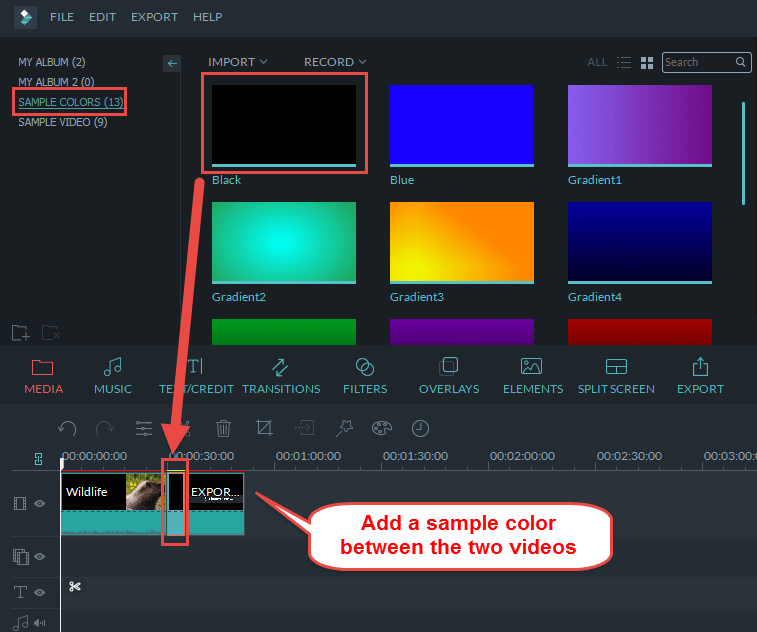 Click sample color menu and choose black color. 4. Drag the black color item between videos.